1. A closely woven silk or rayon fabric with narrow horizontal ribs. 2. A ribbon made of this fabric. Q: How do I enter a giveaway? A: Giveaways can be entered in three ways; 1) By linking to the specific giveaway post (to your blog, facebook, myspace or any other site) 2) By leaving a comment without a link or 3) By linking and leaving a comment (this will be worth 2 entries). If you use Blogger, just use "create a link" located at the end of the giveaway post. If you don't use Blogger, that's fine too. Just make a link as you normally would and I will find it using Technorati. Update!! Leaving a comment along with your link makes it much easier to find your entry. This is mostly due to the fact that blog roll links (third party links that are automatically generated whenever someone posts to a blog- or something like that) often show up in my search for entries and can be difficult to sort through. Q: I am just needing to know if it will be a problem that my blog is private. A. Perfectly fine. No biggie. Q: I don't use blogger, is that okay? A: It is okay if you don't use blogger. You won't be able to use the "Create a Link" link at the bottom of the page but I can still see if you posted a link by using Technorati. A: I have contacted Technorati about this. They have yet to get back to me. I won't hold my breath. If anyone thinks that their link is not showing up just let me know in a comment and I will add it to the giveaway that way. Something that is also a good idea for any blogger is to register with Technorati. I believe they index all their registered blogs daily AND the more you get pinged, the more up-to-date your rank is. Q: Can I use the images on your site? A: YES! As much as you want, the more the better! You don't even have to ask my permission. I guess I'd like if you credited me but I won't be upset if you didn't. If you're using one of my images for commercial use that's fine too. I'd like to see where it was used just so that I can admire it:) but I'm pretty easy going when it comes to usage. Q: So, I'm dying to ask. Are you a self-taught seamstress, or what? Your stuff is mind-bogglingly amazing! A: Yes. I did teach myself. I learned how to threat and use a sewing machine in junior high. My mother also had a sewing machine in her house that I used once or twice in high school. However, I started really sewing in college. I just went out and bought a pattern one day and worked my way through it. And by 'worked' I mean 'worked'. Those things look like they might as well read in Japanese. Q: Are you using patterns on your little girl's clothes, or are you some sort of clothesmaking mastermind that has it all figured out? A: No, I’m not using patterns. I’ve found that through trial and error it’s not as difficult as it seems to make your own pattern. I did use patterns for quite some time when I used to make my own clothes in college so I became familiar with the shapes and way they fit together and that has helped me to understand dressmaking better. And no, one thing is for sure, I definitely don’t have it all figured out. There are plenty of dresses I see out there that provoke both awe and confusion. I think part of the fun for me is seeing whether or not I can recreate something I see that strikes me as beautiful. I don’t always get it right, but sometimes the result is interesting too! Again, thank you so much for your words. It’s the reason I love doing this so much! Q: Are your daughters always as cooperative for your photo shoots as it looks?! A: This is funny, no. No, no and no. Case in point the train stop photo shoot. Lily fell asleep in the car on the way over and wasn't so fresh when I woke her up. There was a mini melt down in the parking lot before I convinced her to cooperate with a cup full of play dough. She also smiles like she's protecting her young. It's cute to me, maybe not so cute in a photo. I have to tell her to relax her face. Actually, that's pretty sweet when I think about it. Q: Where do you find the time to create all these clothes with two little girls?! A: I am blessed with a mother who is retired, lives close by and very willing to be involved with her grandchildren. She comes to our house nearly everyday and makes us a lunch which she lovingly planned the night before. She will watch the girls if I have to run a quick errand (mostly when they take their naps) and did I mention she cleans my kitchen after she's finished making lunch? I probably wouldn't be able to do this blog without her help! Kathleen, we are launching on august 1st over at www.momdot.com and having a HUGE blog party that will include over 100 blogs and 30 giveaways. We would LOVE LOVE LOVE if you would honor us with a creation for a giveaway for the launch. If you can, as a thankyou, we will put up a post focusing directly on your blog, your items, and draw attention back here, which is the entire goal of our site. Can you please contact me at trisha@bambinaballerina.com ? Don't you find that by teaching yourself, you really learn so much more? I'm self taught as well... I will use a pattern the first time or so, but then I start re-drafting the thing into oblivion! I keep telling people who ask, to just wing it and see what happens! Sewing is WAY more fun that way! oooooo, I HEART your blog! I'm so glad I found it. I can't remember if I left a comment on your blog or tip junkie, but MAN you have the cutest little dresses I have ever seen. I love buying my little girl's dresses from Gymboree...but yours are way cuter! No kidding. If you ever open a store...please let me know. And I know you said you don't sell your stuff, but if you ever change your mind...I will be first in line!! I am absolutely in love with all of your work!!! Thanx so much for taking the time to share it! you are such a pretty and talented mum! i cant believe that you know baking, sewing and photography all together!!! & all to such high standards! your pictures are AMAZING. your girls look so lovely btw. i think you should set up a "my story" link to tell all your readers about all the experiences that have taught you all these skills! when i grow older and have kids, i could only dream of being like you!! do you have a pattern or directions available? Your pictures are quite impressive! I'd love to see you answer what kind of camera equipment you use for your FAQ - I know I'm very curious! I am just in awe how talented you are. I wish that I could sew, but I was not blessed with this talent. I love your blog and hopefully one day you do start selling your designs, maybe then I could actually learn how to sew something other than buttons. I have just found your website - OH MY HOW TALENTED AND BEAUTIFUL ONE OFF ORIGINAL FANTASTIC CLOTHES. I created a blogger acct so all I have to do is click on "create a link" at the bottom of your page and it puts me in for the giveaway?Excuse my ignorance, I am very new at all this. I am so sad I only found your blog a little while ago. I pretty much love EVERYTHING you are doing. I am honestly so impressed. I really wish you would sell replicas of some of your stuff that I missed before I found your blog. I would buy it in a heartbeat. You're AMAZING! I must apologise for my comment I have written to you regarding a entry for the nightgown, but have no idea on how to blog, have left you a comment but had to sign of as anonymous because I have'nt worked out how to do my name, hope this is alright. From a mum with 2 kids who loves the end of the day, with fresh divine cleaned kids. I was wondering, why do you do the giveaways, do you get paid for it somehow, or just for fun. And how do you choose who gets to win? I love your creativity! Would you ever be interested in trading for hair clips? 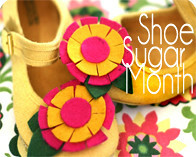 I hand stitch them myself with fabric and felt. Let me know! I think you are very talented. You should consider trying to sell some of your designs through etsy or your blog. especially since you get such good traffic through you personal blog. I love your Blog. Beautiful, Beautiful. Simply gorgeous. Were those pictures taken at the Hotel Hershey? Looks just like their property which is beautiful just like your creations! You should costume design for Hollywood. congratulations on a fantastic blog with the most amazing content. I'm also a self/mum taught sewer and at 25yrs old went back to school to study fashion. I worked in the industry for a few years and learnt techniques they just don't show you in a paper pattern, so I encourage everyone to not just take classes but share knowledge when it comes to sewing. Best of luck with your new store. I so understand what you said about an hourly rate, but by keeping to a limited range you'll be able to achieve some economies of scale. 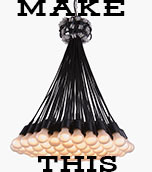 Maybe you can concentrate on design and outsource the making. Even without the giveaways your blog is a great read - I love it! I'm now 38 and have been sewing for a good 30 years. When I want to get a job done quickly there's nothing like a lovely store bought pattern (once you've decided which brand fits you best). Have a look at sesmamasew for some great tutorials on reading and using patterns. wow, this is my first time entering and I'm so excited to see you are opening a shop! love your stuff! you are so talented and creative. I'm a mother to 3 year old triplets and love to create. I am trying to sew clothes, toys etc for economic reasons as well as an outlet for my creativity. Can't wait to see what you'll come up with next. I use blogger and love your idea of giveaways. I would like to do something like that. If you don't mind, could you tell me how the "create a link" works on BLogger". I can't figure out how to do that on my blog. I still don't really understand how I "apply" to win one of your amazing outfits. I don't have kids but have two adorable nieces who would look beautiful in your outfits. You're very inspiring, you know? Could you explain who to get involved to enter your contest? I would appreciate it. I'd like to do be one of your Guest giveaways some time! I could give away one of my dolls. I was wondering if I could ever ever win once one of your wonderful dresses for my 15mo baby. Btw, how come the shop only sells tops & bottoms, not dresses? thank you & you're great!!!!!! Hiya! Love, love, love your craftings! I was just wondering if it would be alright if I tried to recreate any of the items I may not win. I tend to wing my sewing so it wouldn't be exactly the same of course. And I'd be sure to put "inspired by Grosgrain" when I post in in my blog. Is that okay?? Thanks for the great blog! Can I post a link in the side bar of my blog, or does it have to be a regular post to count in the giveaway? I was just wondering how we find out who won each item? Some I have entered and I never find out who won. I go up to winners, but it's not updated. So I was just trying to figure out how you let everyone know who won. Thank you. I love your stuff. I am wondering what the process of claiming prizes is for those of us who are lucky enough to have won something! I'm so excited! Thank you!! When do you pick winners for each thing? How do you chose winners? Can I enter more than one at a time? I'm excited!!! Your creations are absolutely amazing! I love the Marie Antoinette dress in 3t you gave away last year, will you consider selling one or the pattern/instructions to make one? my daughter's name is lily too..
Ok, odd question maybe...How did you get the favorites along the side to sit like the do. Instead of being square and larger yours are small rectangle. do you have someone do your layout or do you have a secret? That is too funny about the meltdown right befor the photo shoot! I completely sympathize as this is a common occurence for me too no matter what the age of my child! I so love looking at your great pieces and the sponsors you showcase and the amazing giveaways you do. I remember how excited you were about getting your serger. Did you do a comparison of the various kinds of sergers? I recall reading a rather large, involved bit of research someone did and I thought it was you?!?! But I can't find anything on your blog about it. arrgg.. am I going crazy? I'm kind of confused about some of the giveaways. The Yellow finch and red poppy jewelry giveaways don't have end dates as far as I can see...or am I missing something? I love, love, love your blog! I love the giveaways. I love the inspiration you give me to be creative. I love the other blogs you mention who are amazing as well!!! Does posting the link on Facebook count? I don't have a blog or anything else to post on. Hi, I enjoy all of your creative ideas, and I was trying to find one in your archives and I can't find it. It was for an adult, and so I'm wondering if maybe it was on another blog of yours? It started with a plain t-shirt (I'm thinking black or dark gray), and you cut down the front top, and added flowers or a ruffle, and it was adorable at the end. Does this ring a bell? I thought it was spring or summer, but now I can't find it. Yours is the only sewing blog I read, so maybe you linked to it? Thanks for all your great ideas. Just found this site through a contact on Twitter this is a lovely site and I will keep coming back. I've been looking on your blog for a few days, just found it by mistake. Best mistake I've ever made!! Keep sewing. Went to Georgia Grace Designs and love love love everything, especially the "Ruffle My Feathers Apron Knot Dress", so cute!!! Hi...I would love to be considered for the giveaway. I am so glad that I found your blog. I am a fly by the seat of my pants sewer. I started off hemming my husbands pants and know I have made a few simple things for my daughter, like a "pillowcase dress". I have no idea how to follow a pattern, so I have to figure it out as I go. Hope you chose me for the giveaway. When I click on the link Winners on your blog, the lsat posting is from February 2008...is ther some other place where you can find this information? I have entered a couple of the give aways lately.. Thought you'd like to know your blog was featured on TotallyHer.com! Where can I buy floral silk-chiffon for a skirt and will it cost alot? I am recently obsessed with your site... and now wondering how long the giveaways last for. There's no end date listed on any of them so I wonder when they close, and if there's no specific date, then roughly how long each giveaway lasts until closing? I'm planning on trying the coffee date dress soon... and also the mojito refashion. Thanks for all the inspiration! Hey, don't remember how I came across your blog, I think I was blog surfing one day and had 1000 tabs open and just bookmarking all the one's that looked good. Finally just was able to go through the bmarks and I'm glad I did. I'm a mother of a two yr old and I also am about to finish my diploma of applied fashion design and tech. I did it through tafe (I'm not sure if your American or Aus) but if your an aussie, tafe was a really good option for me with extending my sewing and designing skills while being a mum. Most of the ladies in my course are all in the same position a lot of them single mums and were able to complete the 2 yr diploma. Your designs look great from what I can see in the pics, but I noticed you said you wanted to do something to extend your skills and I think tafe was the perfect way for me to do that. They show you both the 'fast fashion' way of stitching something up to the couture way and it's REALLY interesting once you know what to look for, how much a few little techniques can bump up the quality of your stuff and the way you produce them if you ever wanted to on a larger scale. All the best in the future, I look forward to checking back and seeing more of your work! 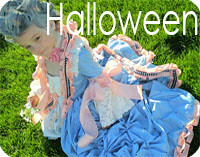 I'm brand new to your blog, and I LOVE it..I love you style and frocks you make! I just found out that I am expecting, and I love the blue striped maternity dress you made this past November. I was wondering..did you use some sort of pattern at all as a guide? It sounds like you are super talented, and probably made it up yourself, but I can be hopeful right?? I would love to post you as an artist on my blog. But I like to use first and last names (or your stage name) and then images, i see that all your images are free for use, and your name is kathleen .. 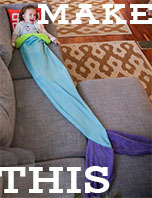 I came across your blog looking for halloween costume images, and can't believe I haven't seen this earlier, your images are so sweet and beautiful. LOVE the Queen of Hearts costume!!! How can I get it for me??? (Adult size) I am obsessed with Halloween and ONLY buy quality costumes. LOVE LOVE LOVE your blog. i used take sewing classes in jr high, and i am now getting back into sewing. i bought a sewing machine this week, and i'm making a minnie mouse skirt for my nieces halloween costume. i'll be using your tutorial to do it. i hope it comes out ok. thanks and great work. 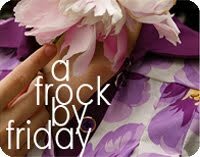 Love the Frock by Friday series! I made the coffee date dress and got lots of compliments on it. But I think I missed a few and I'd love to be able to find them, but they seem to be all over the place and I can't find them all. Is there something I'm missing? A Frock By Friday collection of projects? Your blog is very inspiring, thanks so much for sharing your thoughts with the blogosphere! I featured one of your tutorials over on my blog, I hope you don't mind? I am in need of some help, and you were the first one to pop into my head! It's not the perfect fabric for me, and I would rather make it myself, but I can't find a pattern that is anywhere close to the style. Do you have any suggestions on where to look? I have looked on burdastyle and the simplicity website. Any more good pattern resources? What size are you? With all of your giveaways, it occurs to me that I do not even know what size dress you're giving away, (even though I am drooling at them anyway). And what is the timeframe for most of your giveaways? i love the look of raw edges, but how do i avoid the fabric from fraying? is there a spray i can use or something? im clueless. Help! much appreciated! YES! You can use no fray spray. That will make the raw edges a little harder and less likely to fray. You can buy it online here. OR you can cut on the bias. Which means diagonally across the weave. The edges will fray but not like they would if you cut with the weave. I've seen a lot of j.crew embellished sweaters use this technique when making fabric flowers to put on. You could also try cutting on the bias, letting it fray a bit then spraying the no fray spray for extra insurance but still get that semi-frayed look. I haven't read through all the comments, but I would love for you to suggest a sewing machine for me. I am a beginner, but I want something good. I am interested in making children's clothes, and I also want something that would work to sew appliques on t-shirts or jon-jons. I don't have to have an embroidery feature, but would probably learn to use it if I had one. Any suggestions?! Thanks! Hello crafty from another crafty. I have just one question for you. I'm writing one blog about our beautiful world and when I stumble upon something lovely, as your blog is, I need to share things that I find with my readers. My blog is in Serbian, and I would like to translate some of your posts. So, the question is, can you let me to proceed with it? I'll put link to your blog, so may readers can see that it is yours original work. Please answer me as soon as you can. Thank you. Best regards from Serbia. I have the most precious grand-daughter who I am learning to sew for. By e-patterns do you mean patterns without a printable paper pattern? Like just a tutorial? You could always purchase the patterns at JoAnns but I'm sure you already know that. But each of those patterns have a size chart on it for reference. You could take your grand daughter's measurements and match them to the appropriate size. Is that what you mean? I am wondering if you are considering rethinking your ad choices. The ads with sound are particularly bothersome when trying to read your blog. I really enjoy your posts however all the ads distract from the experience. 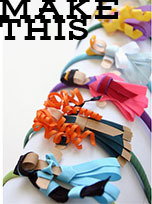 I was wondering if you have made a downloadable pattern for the DIY felt bows?? I am looking for an elegant wedding pue/chair cover design... would you happen to have one?? I am looking for a specific dress that I found on pinterest. Could someone please find the tutorial and send it to me if you know where it is. Thank you it would be greatly appreciated!!! I am trying to cut the cardigan tutorial out. You mentioned posting photos. Will you be doing that soon? 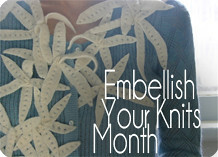 Will you be showing photos for your cardigan tutorial? Just saw the wonderful work on the Hobbit costume for a boy named Isaac! Great! How are you at making LARP costumes for a wizard? (and, are you familiar with the stories of D&D? Raistlin & Palin Majere, Elminster, etc. ?